Expressing one’s personal religious beliefs is a vital part of the well-being of residents. 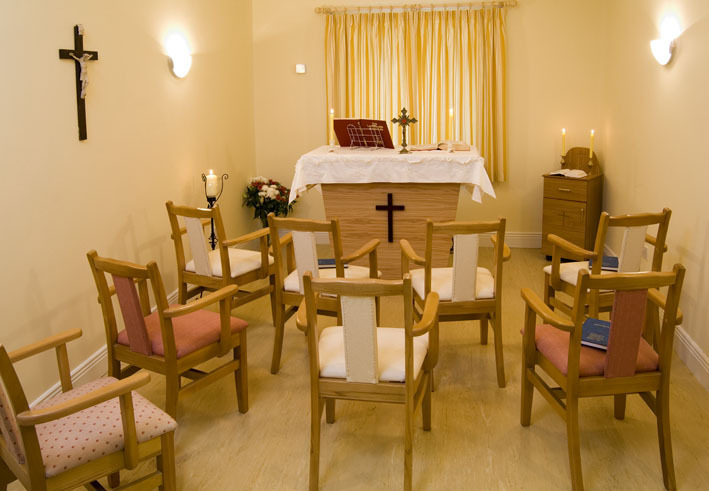 The Oratory/Chapel hosts regular religious devotions for all denominations. Residents may choose to tune in live from the comfort of their room via an internal TV channel. Clergy regularly visit Oaklodge. The community of Churchtown South have extended a great welcome to Oaklodge and its residents.